“If you can’t run, walk. If you can’t walk, crawl. If you can’t crawl, find someone to carry you”. – Malcolm Reynolds in Firefly. 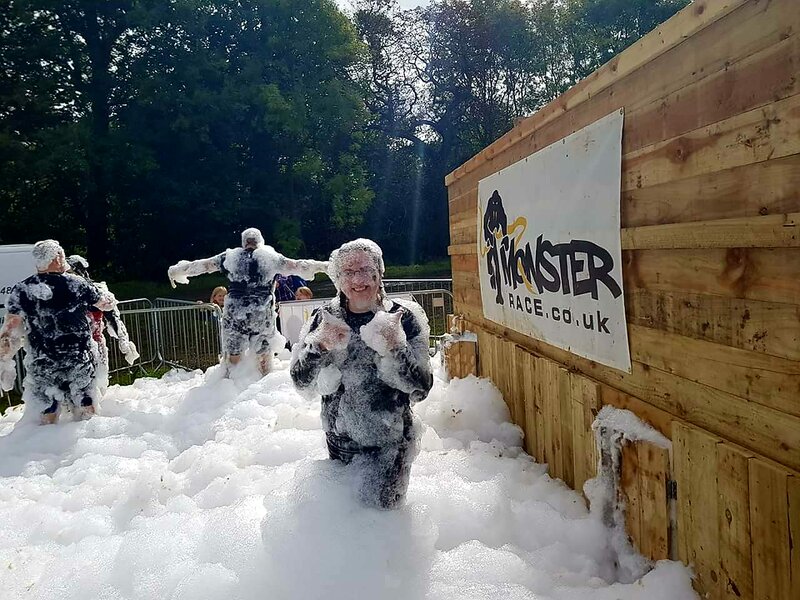 In July I signed up for the Winter Monster Race in Wiltshire with some of my colleagues, where we raised money for a local children’s charity: Cirencester Opportunity Group who support children with physical and learning disabilities (you can sponsor us here, if you want to). 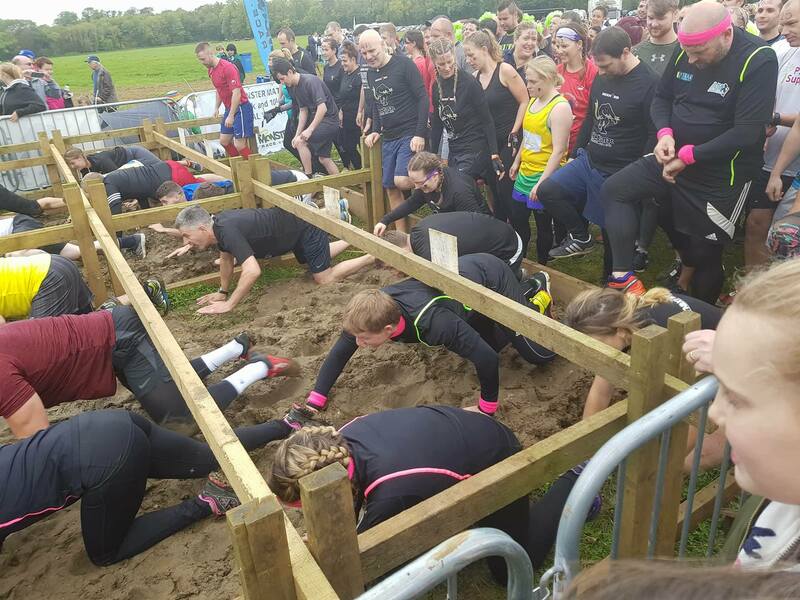 The Monster races are obstacle course races (OCRs) and contain a range of man made and natural obstacles including climbing, crawling, carrying and wading through muddy water. The race is spilt into waves (or heats) and you have the option of signing up for the 5km or 10km route, we signed up for the 10km! 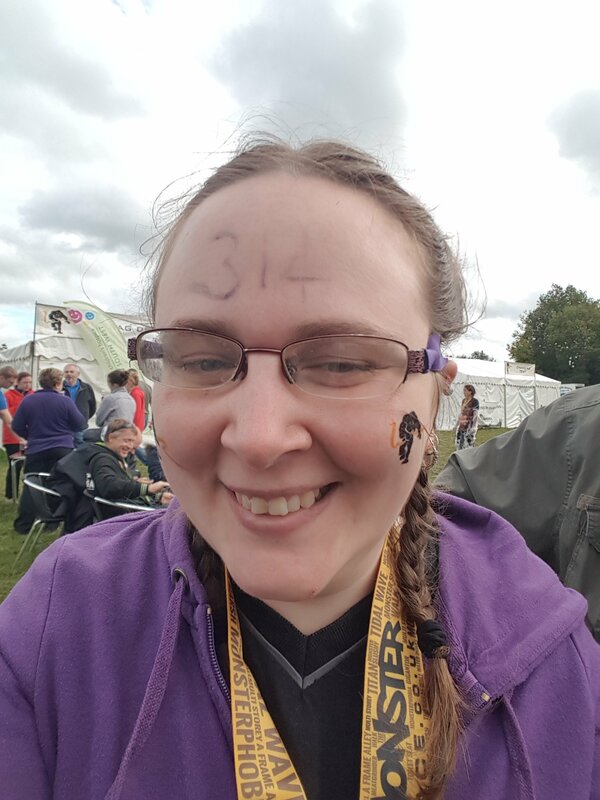 I was worried as I only started running back in April and completed my first 5km race in June for Race4Life. I didn’t think I could do a 10km race but was told by a number of colleagues that there wouldn’t be a lot of running involed as we’d be caked in mud making it difficult to run and that there’d be queues at each obstacle. They were wrong! At least on our first lap, but there was a lot of queueing on our second one. My dad and Ryan came along to watch us along with another colleague not taking part in the race, they got some great photos! 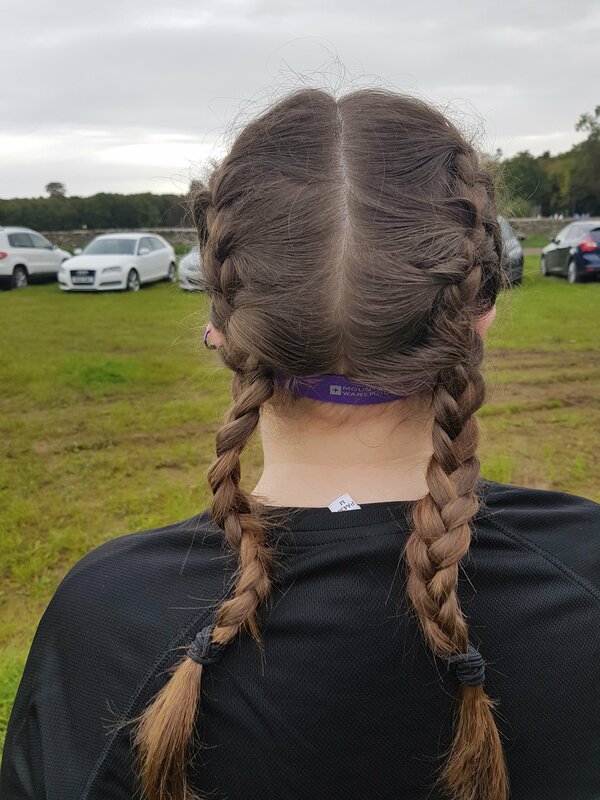 My mum kindly braided my hair the night before and picked me up a sports glasses strap, I’m happy to report my hair stayed up and my glasses stayed on, even through the dip in the river (more on that later). We started at registration, wrote our registration number on our foreheads and picked up our timing chips. They also had temporary tattoos and I put a couple of monsters on my cheeks. We did a warm up which included junping jacks, marching on the stop and burpees (!) before crawling through a muddy pit to get to the starting line. The finish line involved crawling into a room full of foam – here’s me after I came out. We completed the course in about 3 hours. Our first lap was an hour and twenty minutes but the second one took longer due to queueing at the obstacles (especially the water slide)! We got a bottle of water and a Monster medal. Would I do another one? Yes, definitely. Have you ever done a muddy obstacle race?